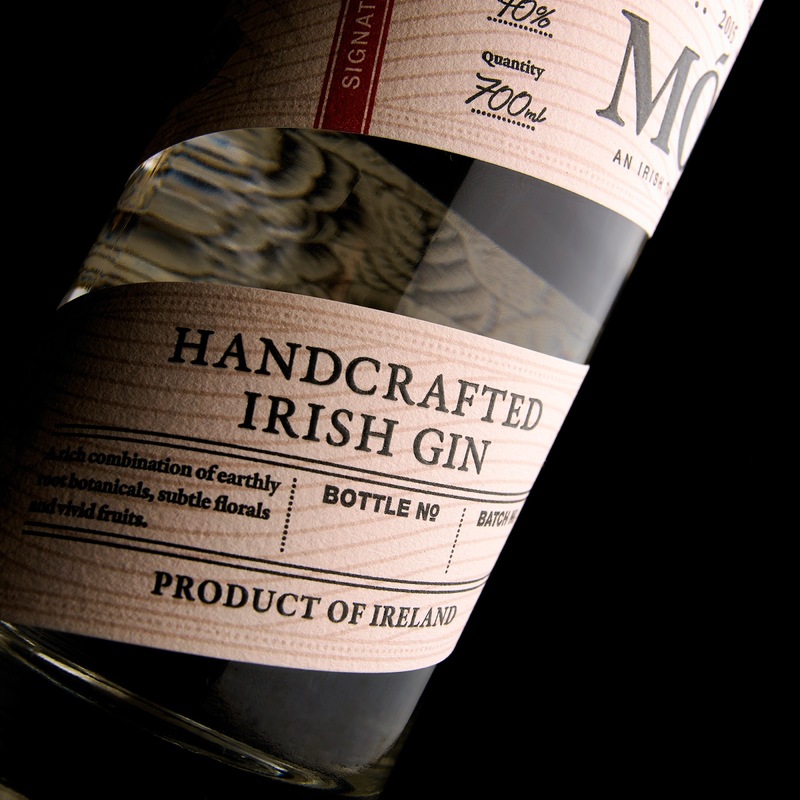 An adventurous gin in an adventurous bottle. 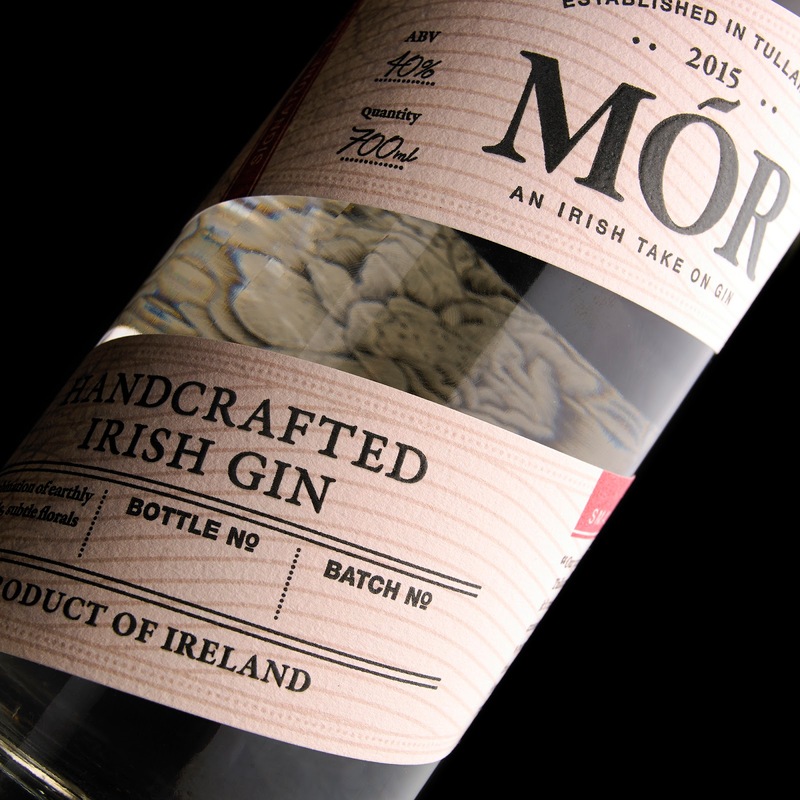 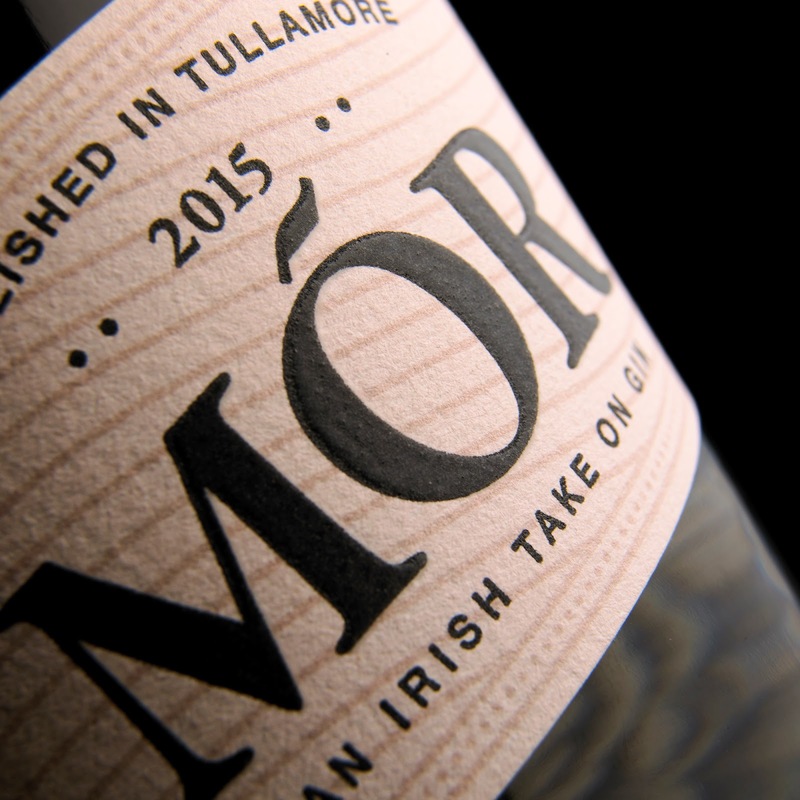 Reverse printing, “barcode art” and an innovative layout make the label for Mór gin a true standout. 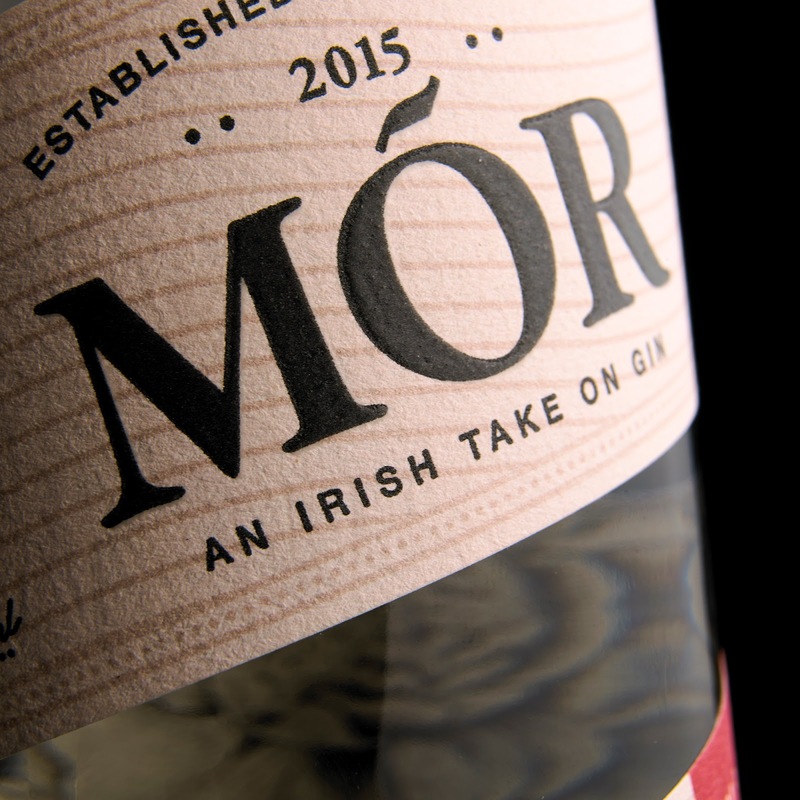 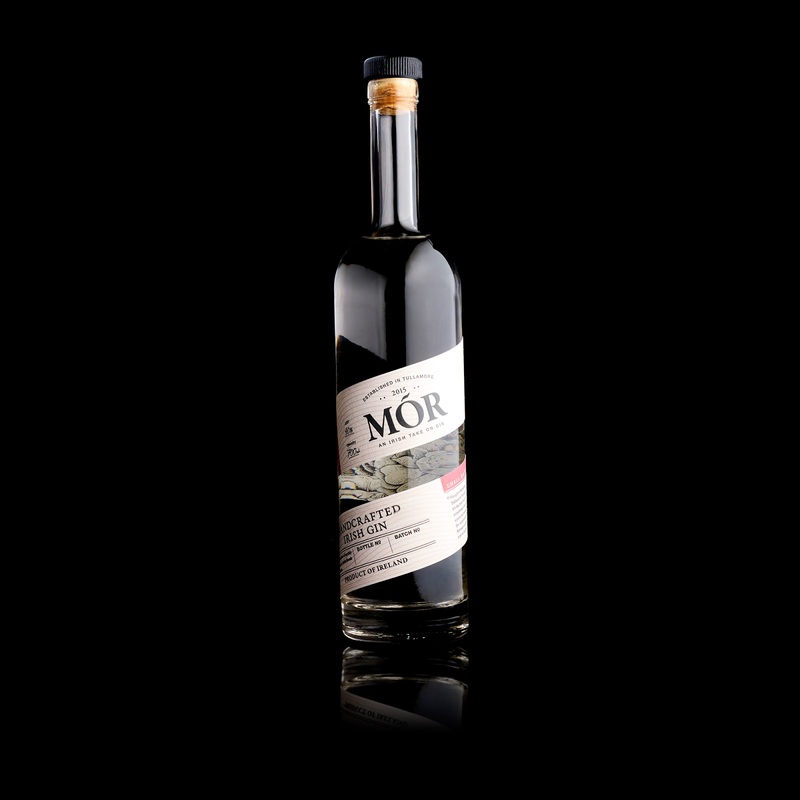 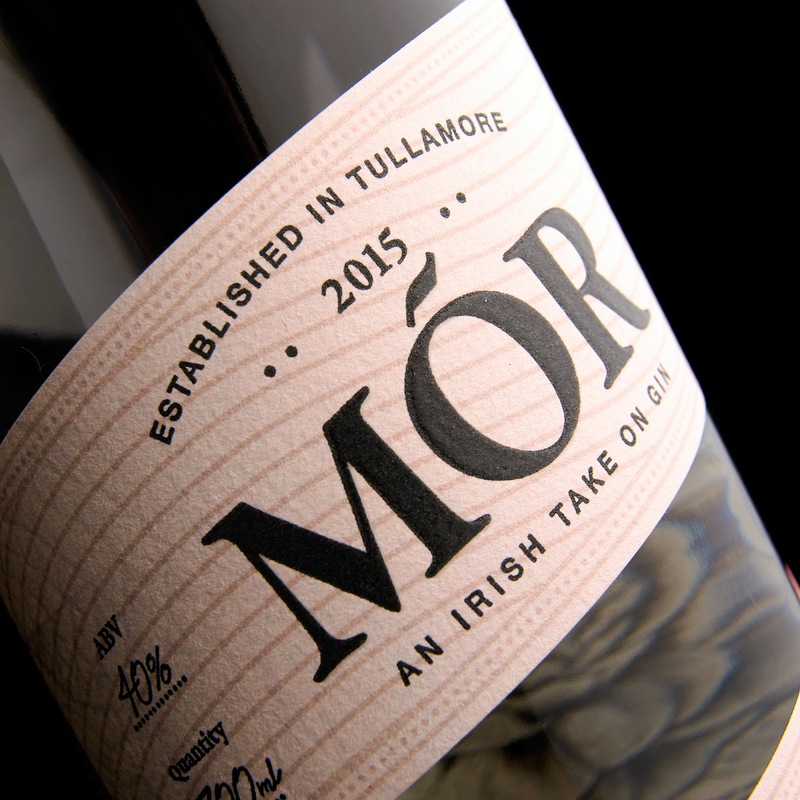 Hailing from Tullamore, Ireland, Mór gin has garnered a reputation for its distinctive flavour, which combines raspberry, coriander, angelica root, and – of course – juniper. 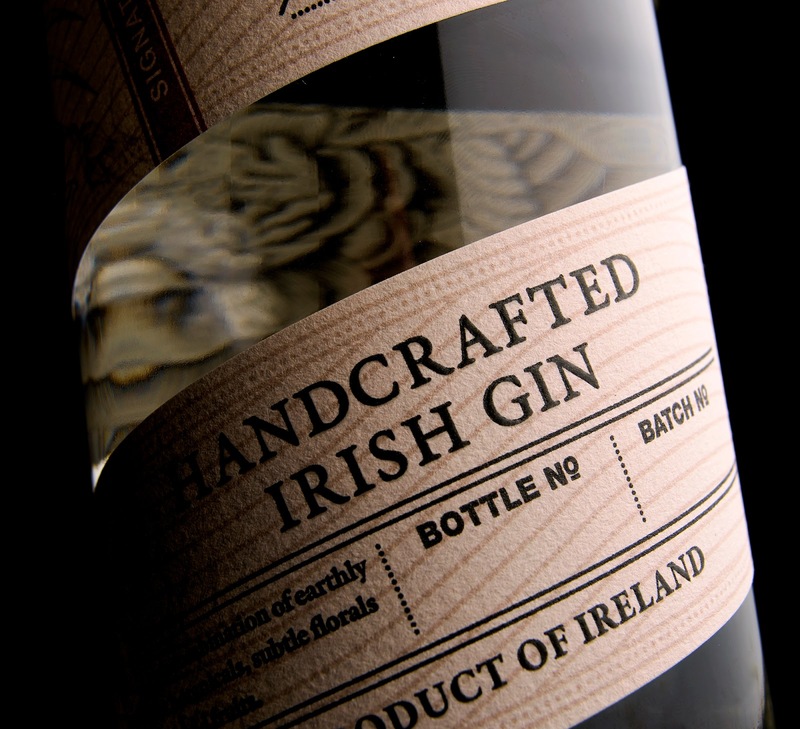 Handcrafted and inspired by both the changing seasons and the distillery’s wild surroundings, this is a drink that demands a special kind of packaging. 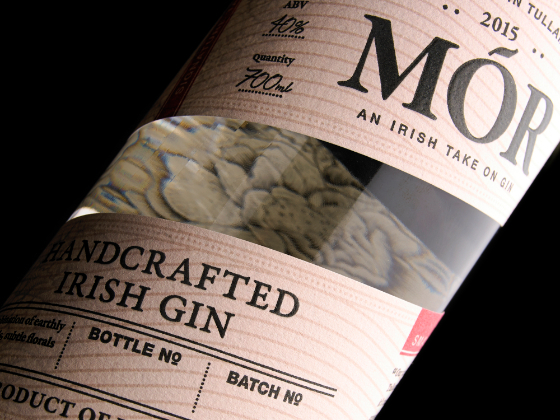 The length of the label enabled us to double-wrap it around the bottle on a slant; the resulting gap allows for the reverse of the label to be seen from the front. 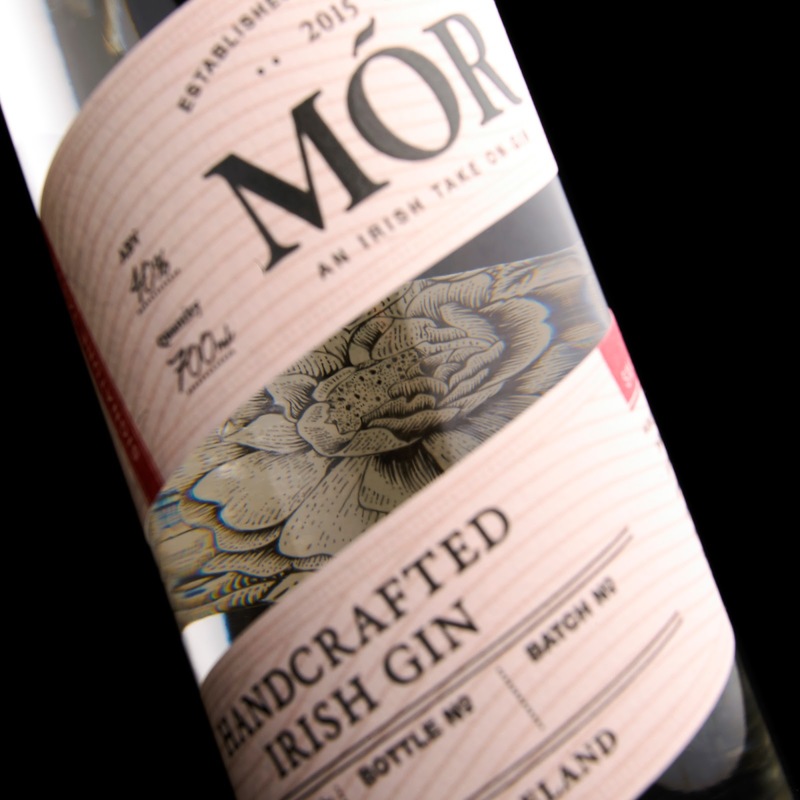 For an exciting visual twist, the inside (which faces directly onto the glass) has been printed with a black and white floral pattern that recalls a vintage etching or line drawing. 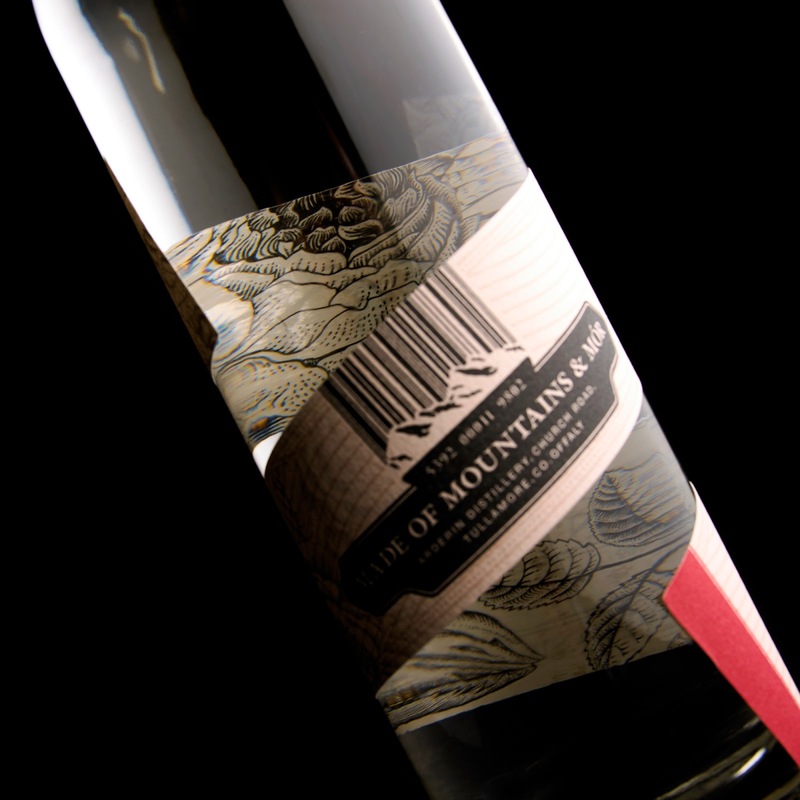 The finishing touch comes in the form of “barcode art”: turn the bottle around and you’ll find that the barcode has been transformed into a miniature artwork, complete with a monochrome mountain range.